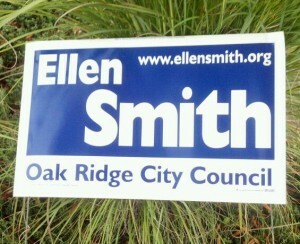 Yes, it’s another Oak Ridge City election season in Oak Ridge! 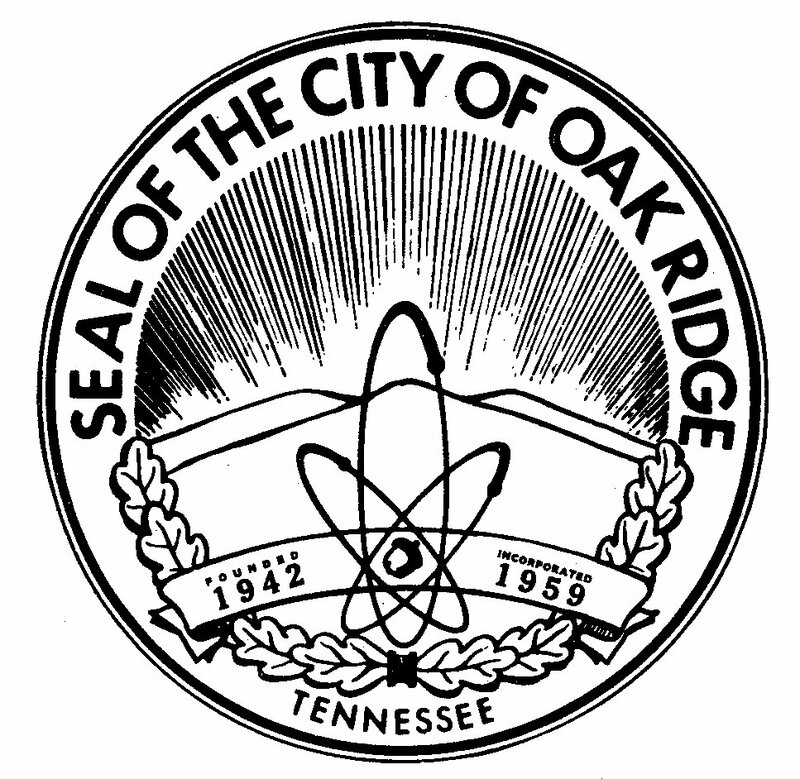 What with the excitement over the US Supreme Court and our Tennessee elections for Governor, Senate, US House, and state legislature, it feels like few people are paying any attention to the Oak Ridge election. 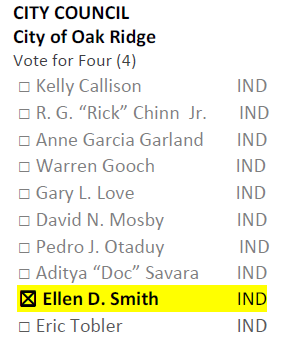 The only race with more candidates than seats is the four-year term on City Council, where five of us are running for four seats. 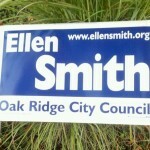 The League of Women Voters has posted a Vote411 candidate comparison page at https://onyourballot.vote411.org/race-detail.do?id=18069787. 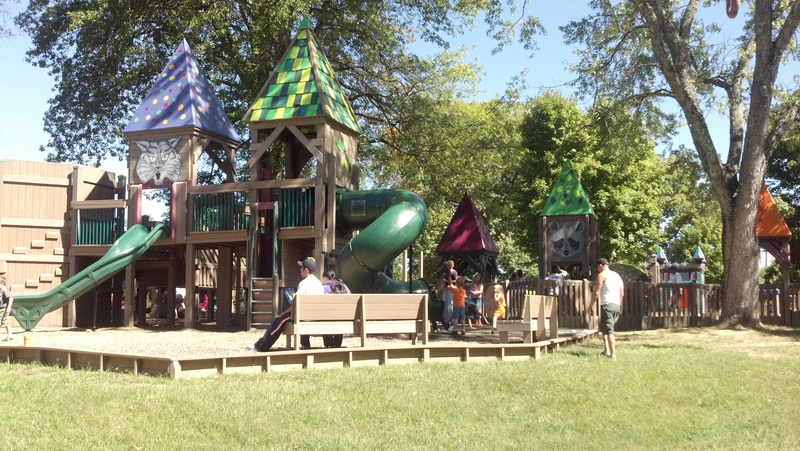 So far it’s only sparsely populated with content, but you can read my responses to the League’s questions. Updated: All Council candidates have responded to these questions! 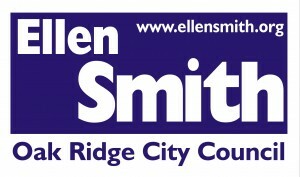 I’ve posted the campaign announcement that went to the Oak Ridge news media on Friday. 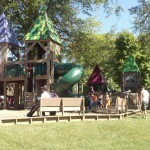 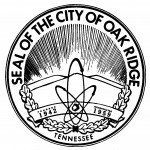 UPDATE (9/18/2014): It appeared in the Oak Ridger on September 18. UPDATE (9/24/2014): Now “Former Council member Smith running for City Council” is posted on Oak Ridge’s online news outlet.